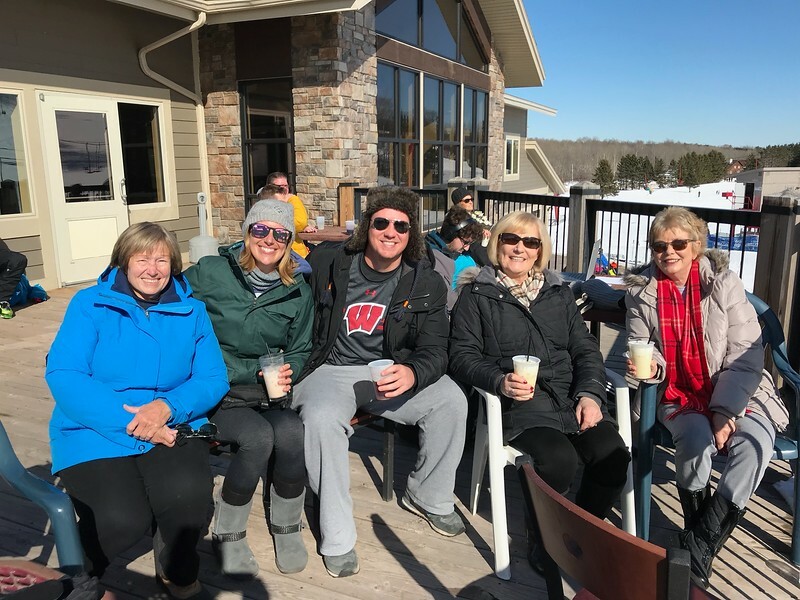 Sharon, Alli, Bryan, Marijo and Pam enjoy a drink on the Powderhorn lodge deck. Just a beautiful day! What could be better! ?